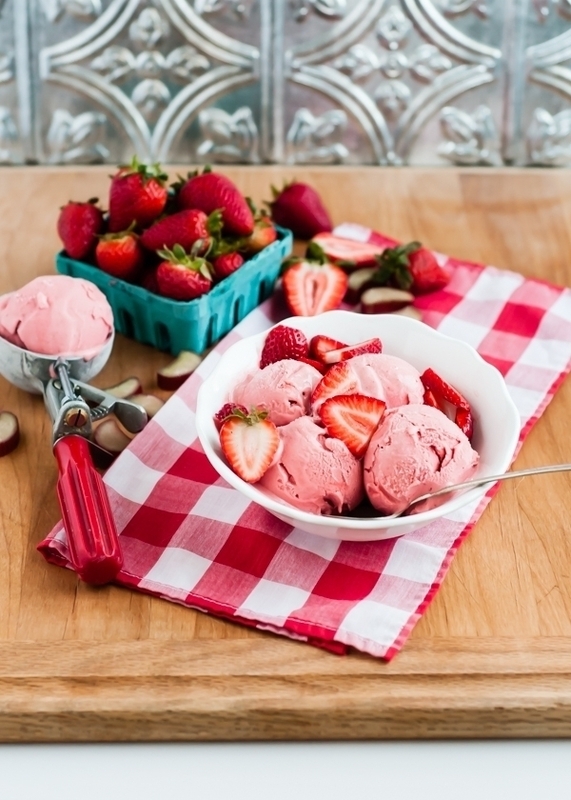 This Strawberry Rhubarb Sherbet recipe, which I originally posted in the early, early days of Cafe Johnsonia, remains one of our very favorites to this day. I know we typically think of rhubarb as a late spring/early summer thing, but I’ve still been seeing rhubarb all over at nearby farm stands. That’s a good thing because I can’t get enough of it! Though if I’m honest…I’m guilty of buying the gorgeous red stalks and then forgetting about them in the back of my fridge. I’m always saving the rhubarb for pie, which I never get around to making. Am I the only one who does that? 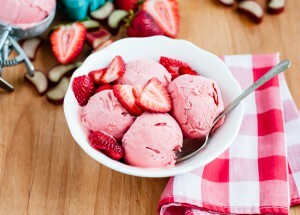 Anyway, this is a good way to add some cold, creamy strawberry rhubarb flair to the hot summer days that remain, especially if you can still find rhubarb. Of course, you can make this anytime if you use frozen rhubarb and strawberries. 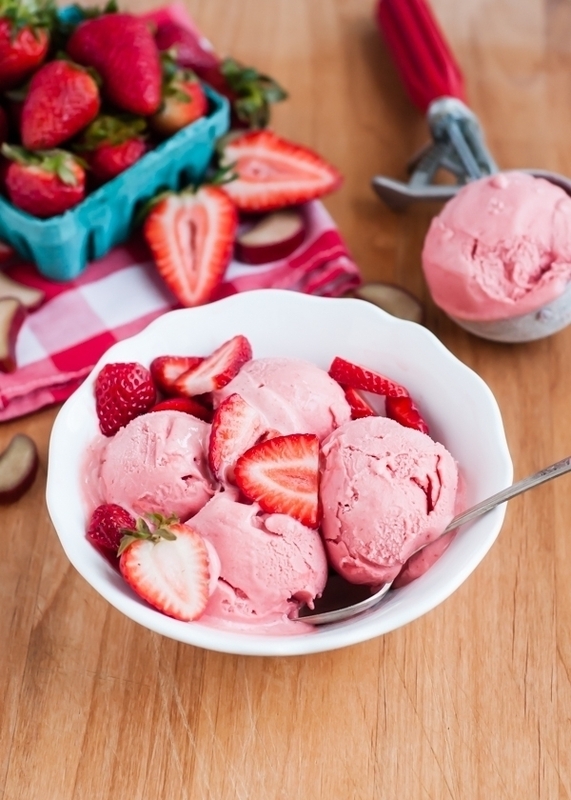 :) I think you’ll really love this take on the classic strawberry rhubarb flavor combo. This recipe is based on a favorite of mine from Cooks’ Illustrated magazine from ages and ages ago. 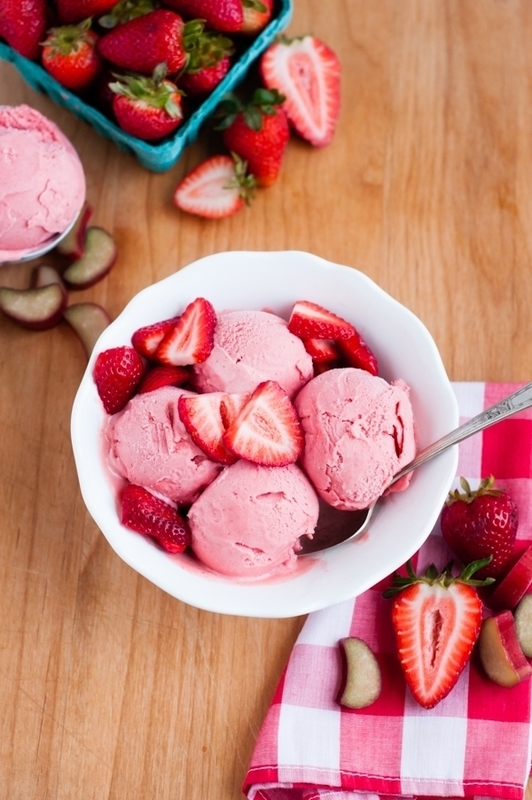 And it’s still the best sherbet recipe out there! 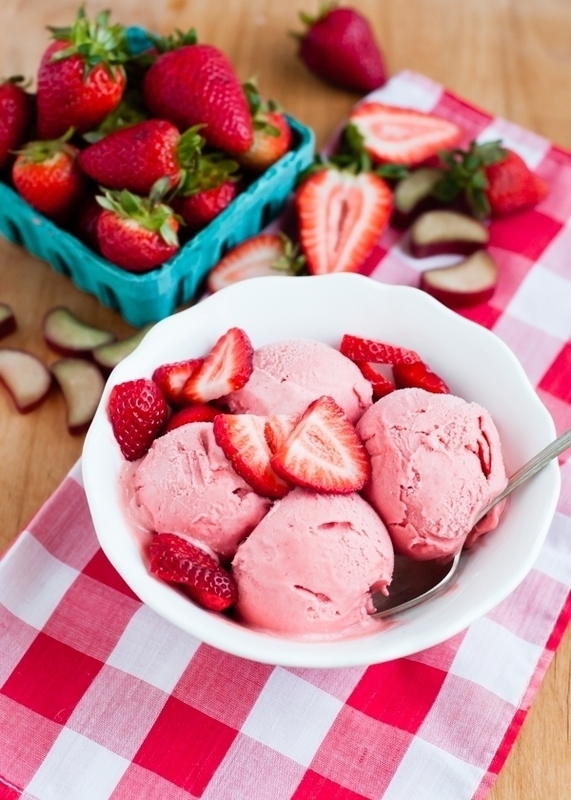 Chilled fruit puree is slowly added to freshly whipped cream and then the mixture is poured into an ice cream maker. 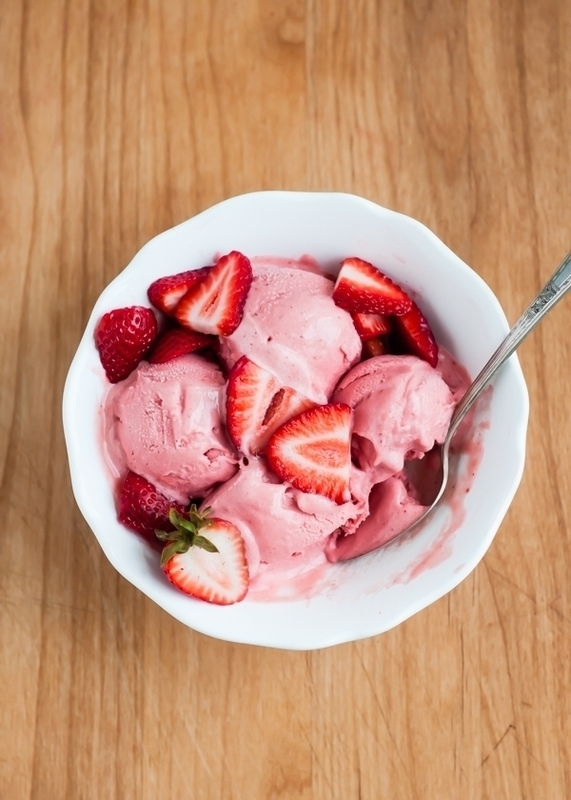 The result is extra creamy, not at all icy, and very fruity. 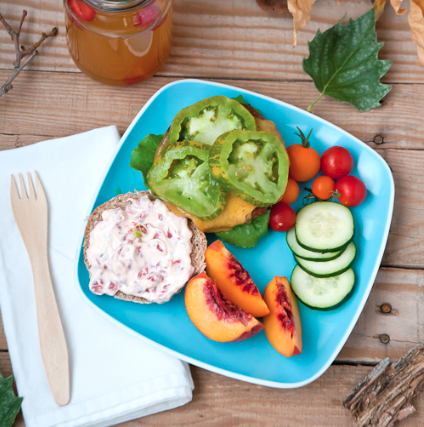 As these long, warm days and nights start to dwindle, we are trying to enjoy every last bit of summer. We’ve been pulling out the ice cream maker as often as we can. And we’ve been sipping cold drinks out on our back patio. Oh, how we love summer! 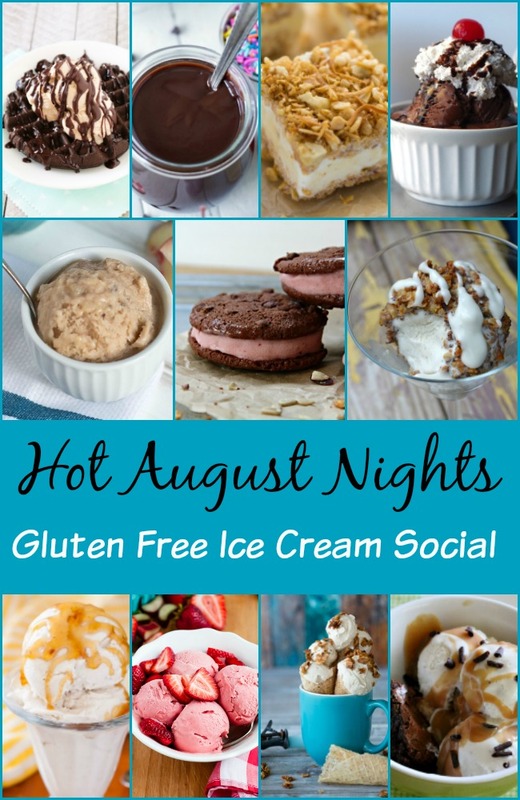 Hot August Nights Gluten-Free Ice Cream Social + Giveaway! 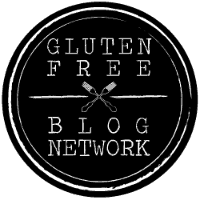 Today I’m taking part of a virtual ice cream social along with some of my favorite gluten-free bloggers. 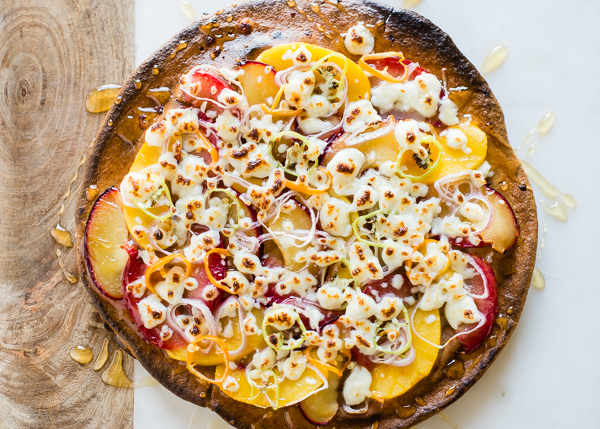 We’ve all teamed up to share some delicious recipes (plus fun giveaways!) to keep you cool as you see summer into fall. -Enter once a day through the form below. -Giveaway ends on Wednesday, August 24, 2016 at 11:59 pm MST. -Winner will be chosen at random. 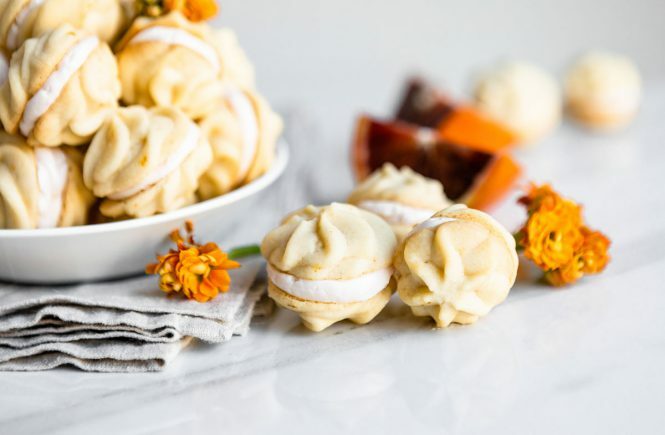 Take some time to visit all of the other recipes from our Virtual Ice Cream Social. 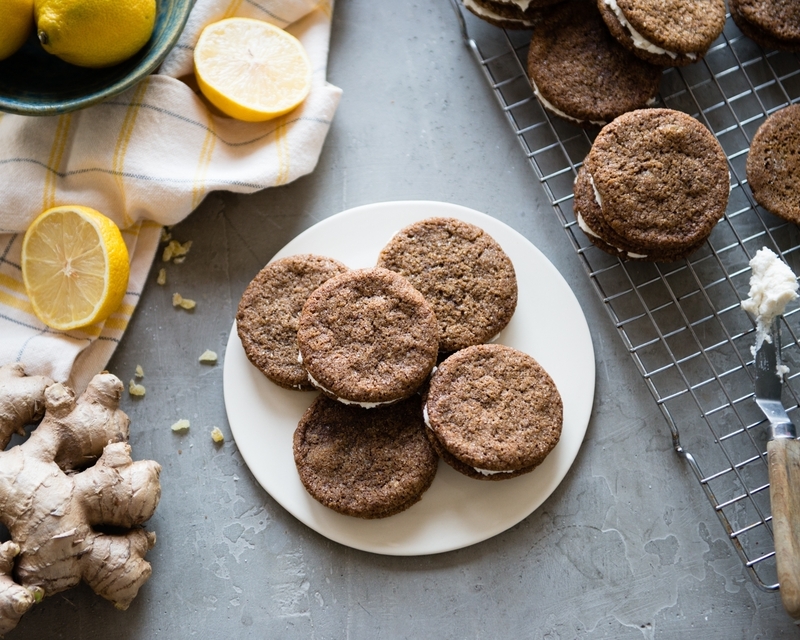 All are gluten-free, some are dairy-free as well. 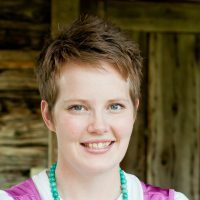 Each blogger is hosting their own giveaway too! 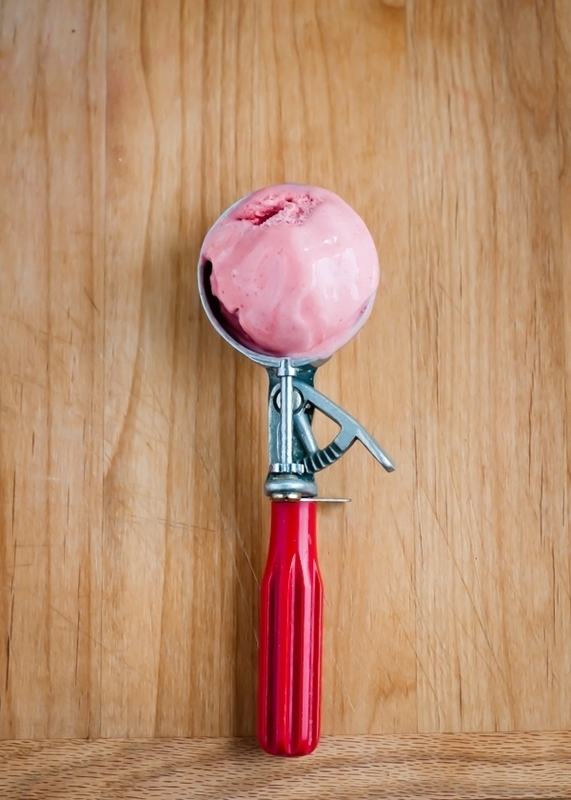 A creamy, fruity sherbet made with strawberries and rhubarb. Place rhubarb, sugar, and water in a stainless steel (or other non-reactive) pan. Bring to a simmer and cook until sugar is dissolved and rhubarb starts to soften. 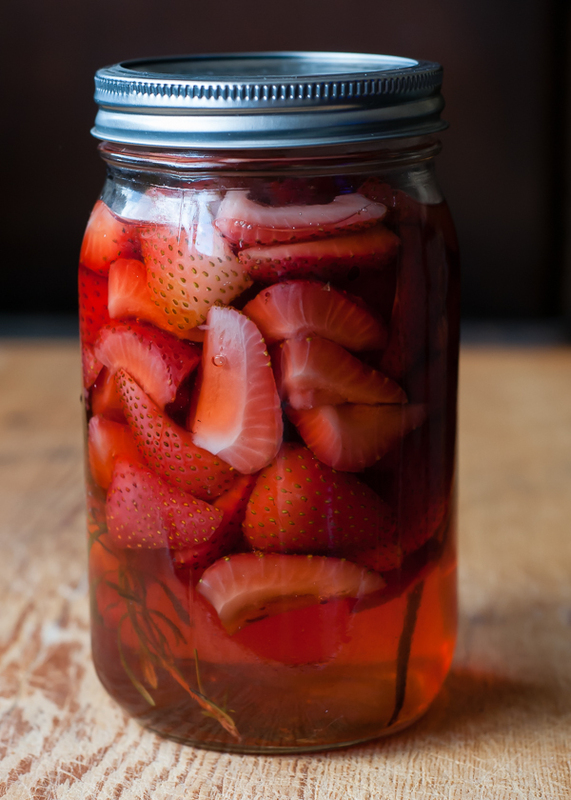 Add the the sliced strawberries and cook for a few more minutes just to soften the strawberries a bit. Remove from heat. Let cool for 10-15 minutes. Transfer to a blender and puree until smooth. Strain, if desired, into a clean bowl. Add the lemon juice. Chill until very cold, about two hours. In a clean bowl, beat or whisk the cold heavy cream until soft peaks form. Slowly drizzle the cold fruit puree down the side of the bowl into the cream, while beating or whisking. Turn the ice cream maker on and pour the liquid through the feed hole. 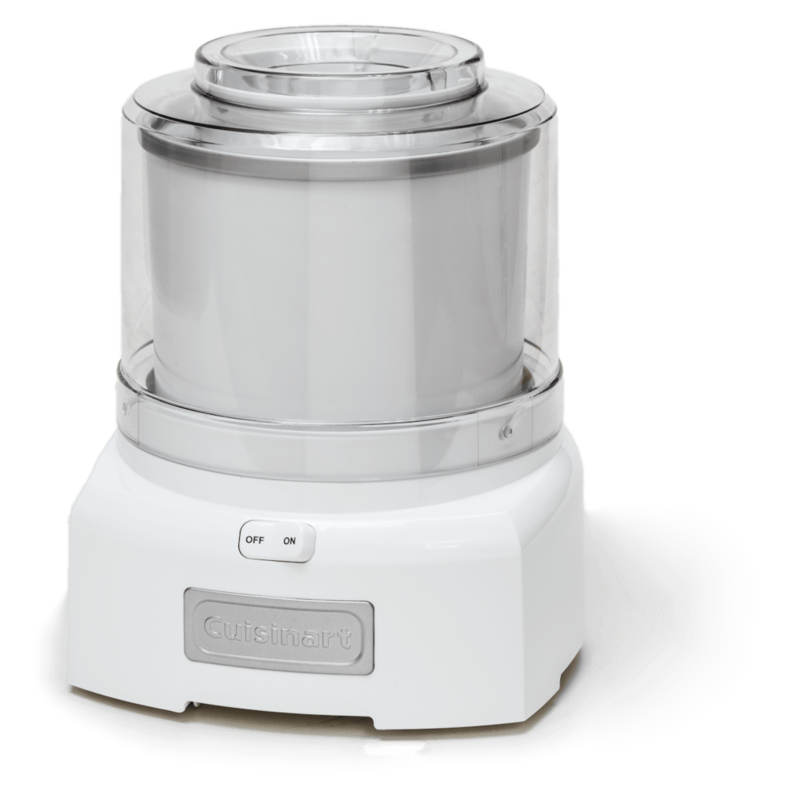 Churn until the sherbet is thick, like soft serve ice cream. Transfer to an airtight plastic or metal container. 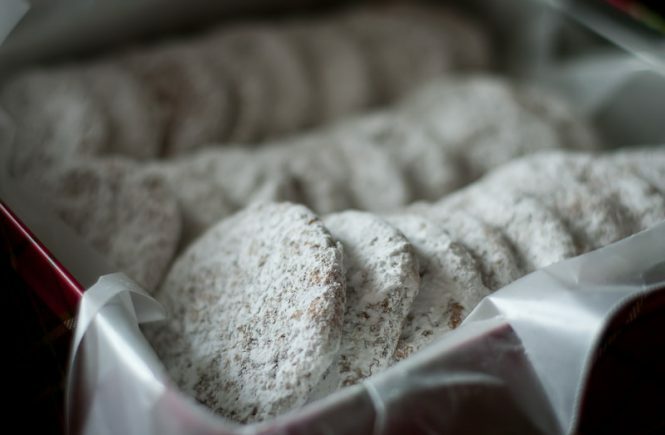 Press waxed paper against the surface to prevent hoar frost from forming. Freeze until firm enough to scoop. Adapted from Cooks' Illustrated magazine. This is gorgeous! I’m tempted to try this with the last dregs of rhubarb from the garden. Such a great combination of flavors! Looks so creamy too! gorgeous photos and gorgeous ice cream! so vibrant, I want to just dig right in! My favorite ice cream is a mocha/coffee flavor with some type of chocolate like brownie bites or cookie dough. This looks incredibly good!! Totally my kind of recipe!